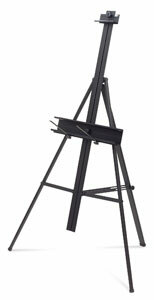 Lightweight and strong solid aluminum Premier floor easel is a breeze to transport, set up, break down, and store. It has a sleek, modern design and includes a built-in palette holder, tilt and height adjustments. 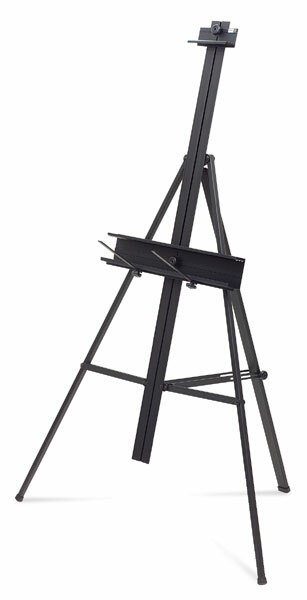 Easel Extension — This extension bar attaches to the Studio Designs Premier Aluminum Easel to add an additional 14" (36 cm) of height and increasing the maximum canvas height to 60" (152 cm). ™ Studio Designs is a trademark. Premier is a trademark.